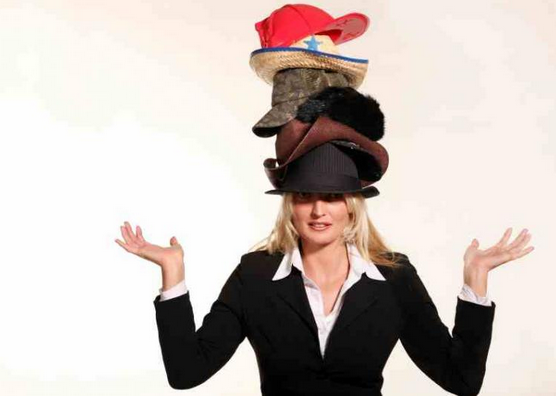 Our trade requires us to wear many hats: registration master, food and beverage guru, decision-maker extraordinaire, tradeshow specialist; and with change on the horizon, it’s time to add a few more hats to our collection. Keeping events on or below budget is always at the forefront of a planner’s mind, usually because it is an expectation of the client. According to the article “Doing More with Less” featured in MPI’s 2014 Summer Edition, 2015 corporate client budgets are expected to be cut up to 50% compared to recent years. This, of course, doesn’t mean that meeting attendance is expected to drop. In fact, it’s projected to rise. So, how do we as planners rise to the challenge to ensure budgets are on-point? Consider lower-end hotels or unique [uncommon] destinations that have a lower rates per room night. We see more and more renovations being done to lower-end properties as this shift in market demand grows. Engage in thrifty negotiating – it’s time to leverage those relationships and be strategic with program placement. Don’t settle for face-value, and begin with the end in mind! When possible, Increase sponsorships to offset conference expenses and elevate revenue. Be realistic when planning to mitigate risk. Don’t over estimate your room block or guarantees. This mistake contributes to unnecessary spend. Focus on what you know to bridge the gap. Think creatively about technology that can help you save money. Go digital and engage attendees in more creative ways to eliminate some of those hard-costs related to badge and agenda printing… and re-printing! Take advantage of API functionality. With technology making it possible to connect people anywhere and anytime, it’s important to keep up with trends and get ahead of the tech curve. A full understanding of the products and technology that are available to make our meetings memorable, will benefit your meeting and its attendees. Another benefit to technology is its ability to help lower some hard meeting costs. Get a handle on AV and internet specs before you sign the contract. Talk tech with as many tech people as you can – this is key to understanding! Virtual meetings are on the rise. The benefit to you budget is that it reduces (if not cuts out) travel costs. Virtual meetings are also easier to attend as attendees spend less time traveling. Mobile Apps can help cut down on printed material costs and can allow for multiple changes and live updates through API functionality that integrates with your registration systems. Knowledge of your tech needs is vital, and addressing them sooner rather than later can help account for maximum savings for your clients. Don’t be afraid to get a little nerdy. With budget constraints being the core of 2015 meetings, planners are being stretched to take a hard look at the way we operate. Thinking innovatively about meetings, decreasing travel costs by keeping it local and bringing in more sponsors are a few ideas that are being implemented to combat decreased corporate spend.